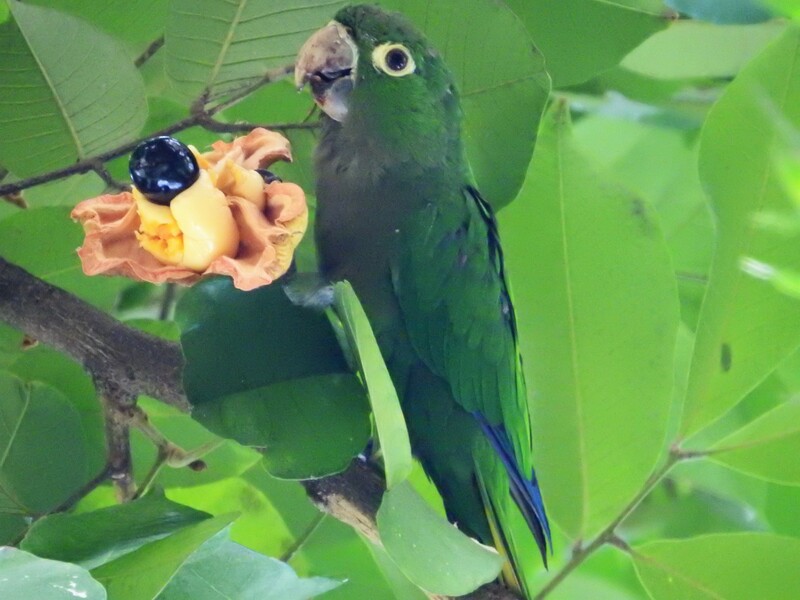 Olive-throated Parakeet eating an ackee in Jamaica. The Olive-throated Parakeet (Eupsittula nana) is a common Aratinga of forest and scrub in its range. 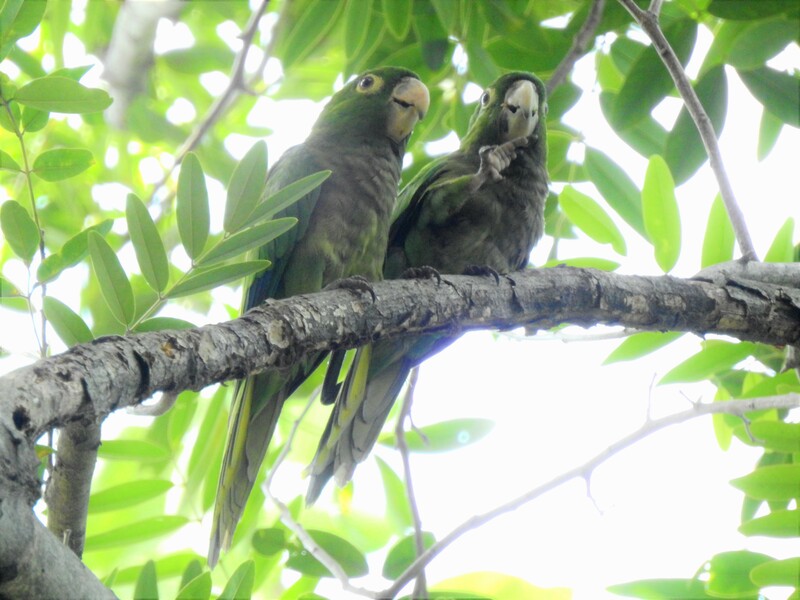 Two subspecies are recognized, with the nominate subspecies found in Jamaica and the other distributed along the east slope of Central America. 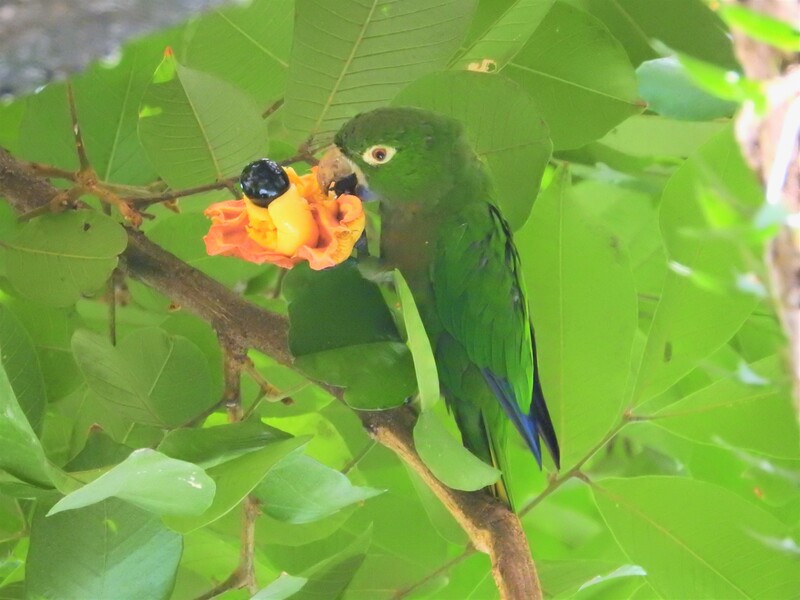 The Central American subspecies is sometimes treated as a separate species called the Aztec Parakeet. The Olive-throated Parakeet is also known as the Olive-throated Conure. 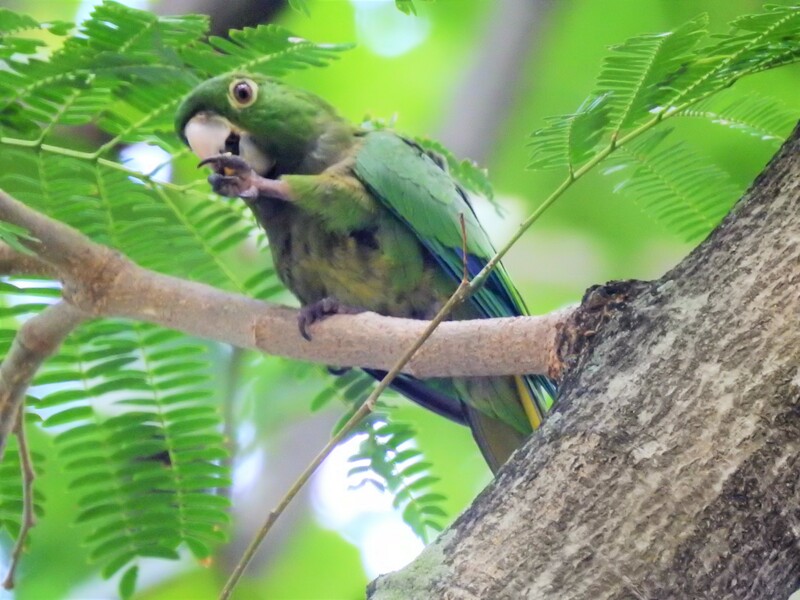 The Olive-throated Parakeet prefers to fly swiftly in groups of up to 30 birds, in tight formation twisting and turning through the treetops like shoals of feathered fish.